Last week we added a new game to our ever-growing index of games we support. Brawlhalla is a fast paced 2D platform fighter game where players battle it out in either 1v1 or 2v2 competitions. Players can use a wide array of weaponry to aid them in knocking their opponent off the floating battlefield to score a point. 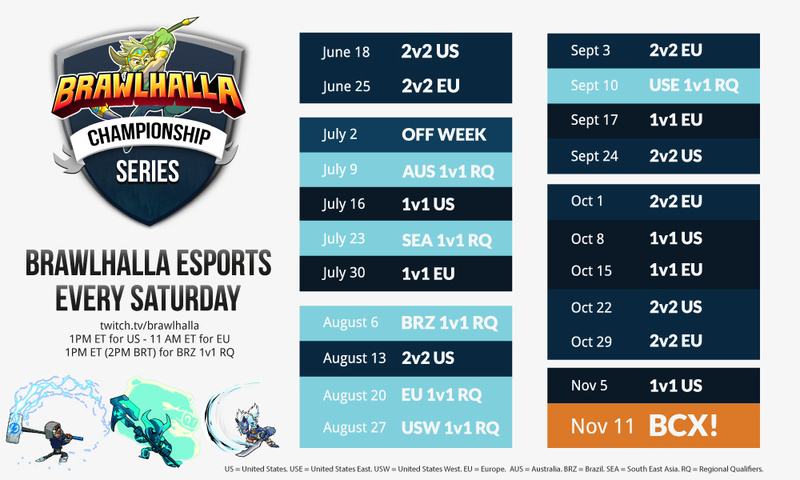 The Brawlhalla competitive calendar is crammed with weekly events as they run the Brawlhalla Challenger Series in the lead up to their very own World Championship in November. The World Champion will see a $50,000 prize pool split between a 1v1 and 2v2 tournament which will take place at the Cobb Galleria in Atlanta, Georgia – America. Now over to the bit you all want to know…Who’s in our lineup? We were approached by a manger who deals with four players who have showed incredible skill in the weekly tournaments and are comfortably sitting in the top 20 of European players. We are excited to see what these guys bring to Reason so make sure to give them a follow on Twitter and Twitch to keep up to date. Sloshula from Brawl League put together an introductory video for us to introduce our players and give you a quick insight into the fast paced world of Brawlhalla. Alex Németh liked this on Facebook. Aleksi Sillanpää liked this on Facebook. Michael Atkins liked this on Facebook. Rasmus Pedersen liked this on Facebook. Robert Aguirre liked this on Facebook. Richard Le Fanu-Grice liked this on Facebook. @ReasonGaming @Brawlhalla @Addymestic @Ephi_BL @WrayneBH @Lanzuis Congratulations! Mag Nus liked this on Facebook.